Instagram can do more than just keep you updated on your friends’ babies, dogs, and vacations. Used the right way, the app can also help you find your next job. Not only is Instagram a good way to establish your personal brand, but it also demonstrates a marketable skill (social media) and enhances your overall digital savvy. It might even help you connect with future employers and differentiate yourself from the competition during the job interview process. If your Instagram account is full of "selfies" or photos from a wild weekend, then you should definitely consider creating a new account for a fresh social media start, if you want to use Instagram for job searching. For example, for tattoo artists, Instagram is an extremely effective form of advertising services and reaching out to other studios. For a financial analyst, however, Instagram won’t be too helpful. It’s up to you to figure out how you can include Instagram in your job search. Be creative. With a little brainstorming, you might be able to come up with some innovative ways to utilize your account and enhance your job search portfolio. For example, if you’re a book publicist, you might create an account posting pictures of different cover art, book signings, literary events, or even shots of people reading the product in various locations. Once you figure out a focus point, you can use Instagram to gain a competitive edge with your personal brand. A is for Appropriate: Unless your account is totally private, make sure everything you post is workplace-appropriate. Don’t post anything that would embarrass you in an interview or would embarrass anybody else. P is for Professional: While a photo shoot of your cats wouldn’t necessarily be inappropriate, it’s not necessarily professional, either. That said, you can still have fun with your Instagram. Just make sure everything you post is relevant to your personal brand if you’re starting an account specifically to enhance your job search. P is for Public/Private: Be mindful of your privacy settings. 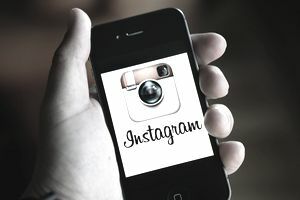 ​Your Instagram should be public if you have created an account for your job search and you want to network with other like-minded professionals or connect with companies. You can also keep your Instagram public if you’re confident that you can filter out anything that might paint you in a bad light. If you have a personal Instagram account, it’s okay to keep it public, and in fact, this can actually help your job search as employers like to see well-rounded, active, and engaged employees. Mitchell Harrison is an up-and-coming cook who works at a relatively high-end Boston restaurant called Ocean Landing. Mitch is working on branding himself as an upscale, fine-dining chef, and has decided to enhance this mission by using Instagram. Mitch might use some other hashtags specific to his subject area; in this case, food. For example, he might add: #instafood, #instafoodie, #chefsofinstagram. You can use Instagram to search popular tags in your own field. However, posting a photo with too many hashtags is an Instagram faux pas, so limit your use of them so as not to become annoying to other users. Stay updated with your dream employers and industry heroes by following them on Instagram. You’ll get an inside track on emerging trends in your field, as well as up-to-the-minute information on what prospective employers are doing. Some companies will even use Instagram when hiring, to get the word out about open jobs. Look for the hashtags #hiring, #nowhiring, #werehiring, etc., and get a leg up on the competition. Then, use your Insta info to demonstrate your passion for the company during the interview process. You’ll know, for example, about their recent team-building and charity events, as well as emerging product lines – because you saw it all on Instagram. Remember: hiring managers want candidates who care about the company and want this job, not just any job. If you can show that you’re passionate about the organization, you’ll have an advantage during the hiring process.